InterContinental Hotel is a 5-star property in the center of Ljubljana. Rooms and suites offer the highest level of comfort and elegance. When it comes to business, they set the standard for Ljubljana hotels with their high-tech, flexible meeting rooms. As the tallest hotel in Ljubljana it offers stunning views of the Alps and of the city. All the main city attractions are accessible on foot. There are classic & executive rooms on offer and suites in this Ljubljana luxury hotel. All the accommodation capacities are spacious, air-conditioned and offer amazing views of the city and of the surrounding nature. Rooms are elegantly furnished and equipped with everything you may need for enjoyable and relaxed stay. All of them are soundproof with flat screen TV, seating area, safety deposit box and are wheelchair accessible. One child under six years stays free of charge. Pets are welcome but charges may be applicable. All the rooms are non-smoking. WiFi is self-evident. 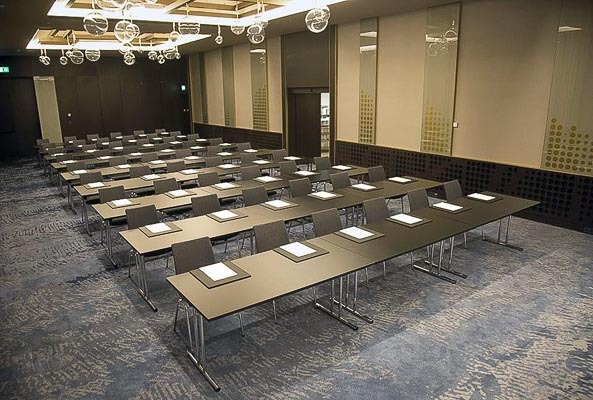 When it comes to conferences, meetings and events, InterContinental hotel sets standard for Ljubljana hotels with their four high-tech, spacious, flexible meeting rooms spreading on more than 5600 m2. Sales & meeting professionals are on site and will be happy to help you tailor your event to the occasion – from an intimate meeting in a 19th-floor boardroom to a reception for 300 in their conference center. Beside the spa & wellness center, there is a fitness centre with personal trainer and modern equipment available and you can even join yoga classes. 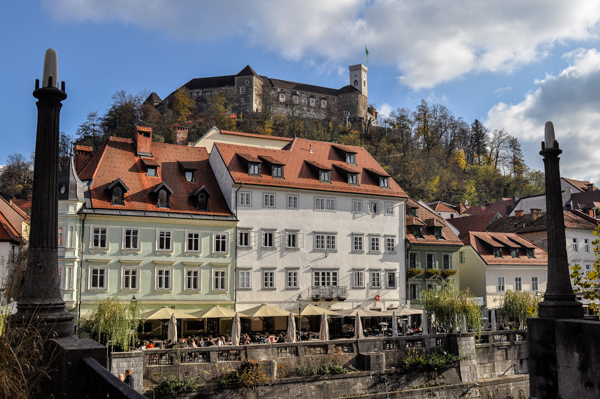 If coming to Ljubljana through the Ljubljana Airport they can, not for free though, arrange a transfer to the hotel. Other services that are also available are private check-in/check-out, babysitting, shoeshine, luggage storage. Ironing and dry cleaning are executed with an additional charge. 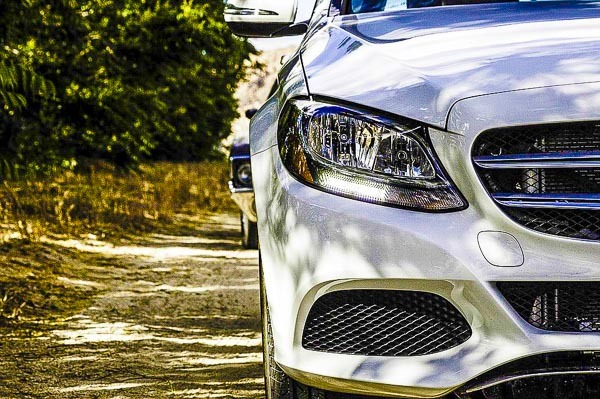 Parking is available, a private limousine can be provided. If interested in visiting Ballet and Opera Theatre for example, maybe an evening concert or in seeing Ljubljana with a guided tour, the coincerge is there to help you find and organize what you search for. Hotel facilities are fully wheelchair accessible, from the lobby to the restaurant. 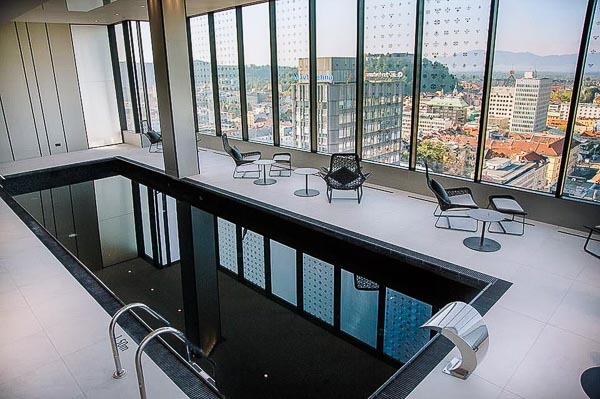 There is an indoor heated pool available on the 18th floor of the hotel, which means you can enjoy views of the city while getting a charge out of the water. You can also surrender to a massage, sauna, jacuzzi or steam bath. Valet parking is offered. If you wish to park your car by yourself, a public garage is available just across the street. Please keep in mind that reservation is needed for private parking. There is also an electric vehicle charging station at hand. 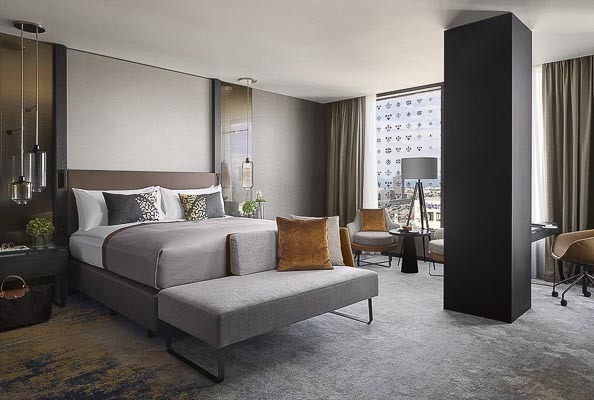 To spoil your taste buds you can visit one of the fine restaurants in the city or reward yourself with visiting the hotel B – Restaurant, managed by Michelin star chef Alfredo Russo. Exquisite seasonal cuisine with local ingredients and rooftop setting make it one of the most intriguing restaurants in town. If in a mood for socializing or you feel like sipping a cup of coffee, a cocktail or a snack, go in for the Bloom Lounge with an outside terrace or the rooftop B Bar with amazing views.